Attack on Titan season 3 episode 11 delayed 1 week due to typhoon coverage within Japan. 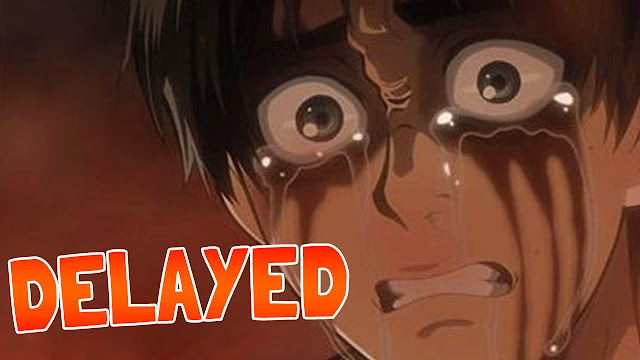 The official Attack on Titan website for the anime series announced on Sunday (September 30th, 2018) that the anime's next episode has been delayed one week due to news coverage of the Typhoon Trami. The episode Bystanders was to air on Sunday the September 30th at at 11am Pacific time and 11pm Pakistan Standard Time, but will instead air on October 7 at the same specified time. Attack on Titan season 3 airs on the public broadcasting channel NHK General TV. The channel has emptied all of its regular programming slots on Sunday evening to provide updates on Typhoon Trami (also called Typhoon 24). Our prayers are with the Japanese on this one. The dubbed version of Attack on Titan Season 3 episode 6 has been released.